Old TV Scan Lines produces a noisy black and white image with horizontal scan lines, reminiscent of the early cathode-ray tube TVs. Scan Lines Horizontal produces rolling RGB lines horizontally. Noise Intensity creates gray noise, similar to the noise on a cathode-ray television. A value of 0 produces a clear image, while a value of 1 adds the maximum amount of noise to the image. Distortion Scale adjusts the size of the distortions in the image. A value of 0 leaves the image intact, while a value of 50 produces large, wavy distortions, similar to a difficult-to-tune channel on an old TV. Lines Frequency determines the number of scan lines added to the image. A value of 0 leaves the image clear. A value of 1 adds 1 scan line, 2 adds 2 scan lines, and so on, up to 128 scan lines. 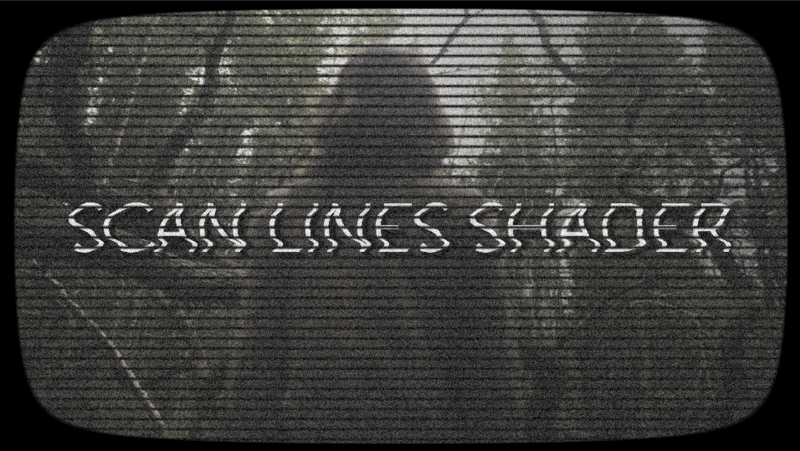 Lines Intensity adjusts the opacity of the scan lines. Higher values will prouduce more opaque lines, while lower values will produce more transparent lines. Lines Softness adjusts the edge softness of the scan lines. The higher the value the softer the line. Lines Color allows the user to set the color of the scan line either through the use of the color chip or eyedropper. Roll R used to offset the red channel scanline roll. Roll G used to offset the green channel scanline roll. Roll B used to offset the blue channel scanline roll. Tint Amount adjusts the overall strength of the tint. Higher values will result in a more saturated tint. Lines Offset sets the pattern of the scan lines at a given point. Navigate through the line patterns to find a setting that you like. Saturation adjusts the saturation of the image. Assuming that you are starting with a color image, a value of 1 produces a full color image, and a value of 0 completely desaturates the image, converting it to black and white. Animation Speed controls the speed of the RGB roll. Higher values will result in faster rolls. Frame Sharpness adjusts the sharpness of the inner edge of the old TV frame. Higher values produce a softer edge. Frame Limit controls the size of the inner frame and therefore the viewing area. A value of 1 completely closes the inner frame, giving you a black image. A value of .10 opens the inner frame to its maximum size, given the Frame Shape that youíve defined. Mix With Original blends the effect back with the original unfiltered object. Both types of scan line share identical parameters. They differ in the direction of the scan lines.